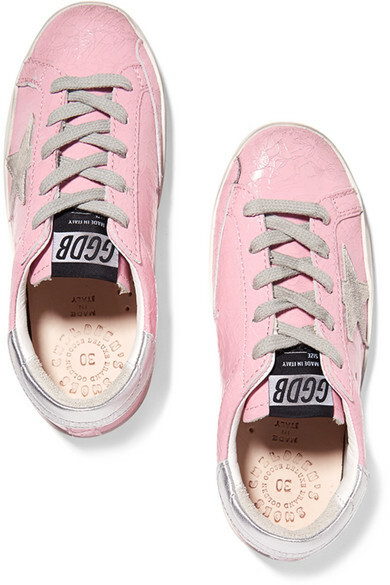 Golden Goose Deluxe Brand Kids' 'Superstar' sneakers are intentionally distressed, so you don't have to worry about your mini-me getting them a little scuffed up while running around at the park or playground. 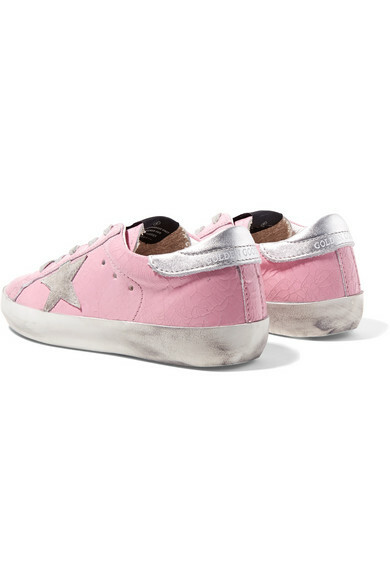 This pair is made from baby-pink cracked patent-leather that's perfect for the little girl in your life and stamped with the label's iconic star motif in soft gray suede. Shown here with: Lingua Franca Kids Sweater, Chinti and Parker Kids Track pants.